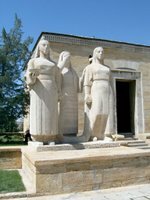 Ankara’s strength lies in its geographical position; miles from the nearest coast, surrounded by hills, 1000 metres above sea level, in the centre of Anatolia, Turkey’s heartland. Approaching the city from any direction; from Istanbul, hurtling along the newly built motorway; from the south, past the lake at Golbaşa; from the east across the gently undulating grey of the harsh, stony land that is Anatolia; little in the scenery indicates a major city is near. Traffic gets heavier as Christaller’s urban hexagons forecast, but no tall buildings – yet. As the hills of Ankara are reached, dwellings crowd the sides, cheek by jowl, little in the way of metalled roads off the one that takes you into the city centre. Minarets punctuate the red roofed skyline, but no skyscrapers yet, and so near. Coming through this ‘geceakonda’ part of the city, that is part of every Turkish city, unplanned, built in the night, hence its name ('gece' means night in Turkish), the streets look more like the urban sprawls one expects anywhere. Hospitals, schools, shopping centres, bus and railway stations soon loom on every side, and all at once you know you are in the capital of this sprawling country. Mosques and their attendant minarets are huge, built upon supermarkets, surrounded by car parks for shoppers, streets clogged with parked cars. People in droves crossing at red lights, even a horse and cart, and everywhere, movement and crowded thoroughfares. 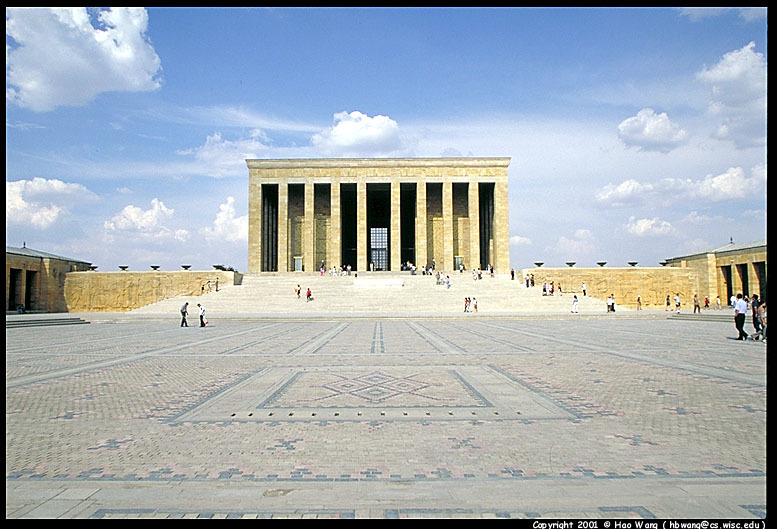 Parked up now and walking along looking out and up at the city, glimpses of Anitkabir, the mausoleum holding Ataturk’s remains reminds me of a similarly shaped front on a building on a hill above another neighbouring capital. 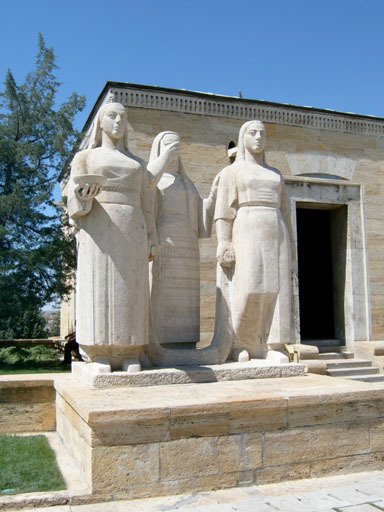 This one though is Mustafa Kemal's city - Ankara.